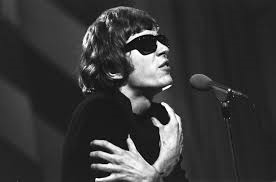 With the announcement today of the death of Scott Walker aged 76 the world of music has lost one of it’s most distinctive voices. An artiste who developed from a chart sensation into one of the great experimental innovators in the history of popular music the influence of Walker can be seen in such acts as Marc Almond, Radiohead and Pulp combining an undoubted talent with a theatricality that truly set Scott apart. Born Noel Scott Engel in Hamilton, Ohio Walker formed the Walker Brother’s band with Gary Leeds and John Maus initially struggling to find success in the USA before moving to the UK in 1965 and having chart success with songs such as ‘The Sun Ain’t Gonna Shine Anymore.’ At one point their success began to rival, in popularity, the Beatles before Scott left the band, initially joining a monastery in the Isle of Wight, where he studied Gregorian chant, before launching his solo career in 1967. Blessed with a deep and rich baritone voice, Walker’s songs began to detail the characters found amongst the underbelly of life. Taking his influence’s from torch singers such as Jacques Brel, Walker gave voice to the prostitutes and gigolos, the opium addicts and other nefarious players that so enrichened the theatrical stories that he brought to life. In the mid 1970’s, as his solo career floundered, Scott reunited with the Walker Brothers, before returning to his solo career in the 1980’s. Signed to Virgin Records, his Climate of the Hunter album, with its avant garde themes and often impenetrable songs and lyrics was, despite it’s critical reception, allegedly the record labels worst selling album and soon meant Walker was dropped by the label. Later in his career, whilst continuing to write and perform his own work and collaborating with the likes of Nick Cave and Jarvis Cocker, Walker was also in demand as a producer, working on albums by artistes like Ute Lemper. Quite rightly, Scott Walker, was lauded as one of the greats. A singer, performer and composer who became a link between the melodic singers of the likes of Andy Williams and Frank Sinatra through the art rock of Roxy Music and David Bowie to the Avant-garde of composers such as Stockhausen. The importance of always being willing to search out new directions, to make challenging works and to inspire new generations is a legacy which will be passed onto artistes now and in the future. 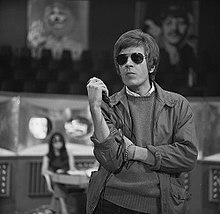 Scott Walker was a unique talent whose influence and legacy will be felt for many years to come.